Contemporary music: We were delighted to attend the inaugural function by the Parliamentary Friends of Australian Music, raising music’s profile in Canberra. And what better time, with our artists achieving increasing global success. Billboard’s Lars Brandle has penned us a roundup: Australia’s new generation of global stars. The figures tell the story – a billion dollar business – read more in our latest Statistical Snapshot. Mind you we have work to do. We have prepared a Lockout Laws Review to submit to governments to address challenging legislation in two states. Arts funding: We were signatories to a recent arts funding letter to the PM; we urge him to follow his Canadian counterpart’s example! 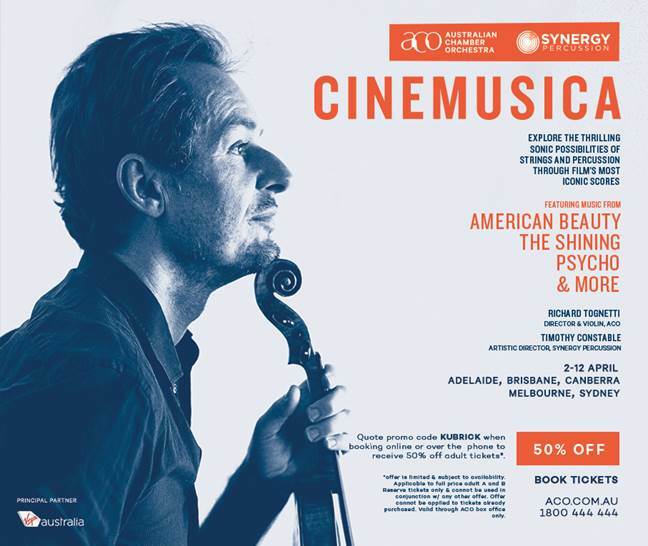 Australian Contemporary Music Industry is a multi-billion dollar contributor to Australia’s economy & culture. Our latest statistical snapshot demonstrates the scale of this industry; a key contributor to national employment growth and our cultural identity. 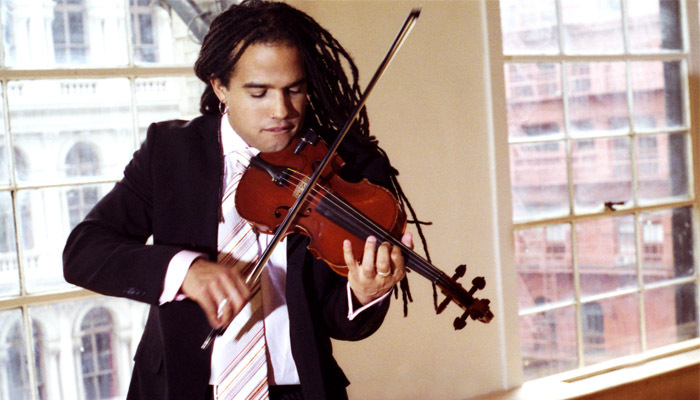 Arts funding letter to PM – follow Canada’s example for arts innovation! 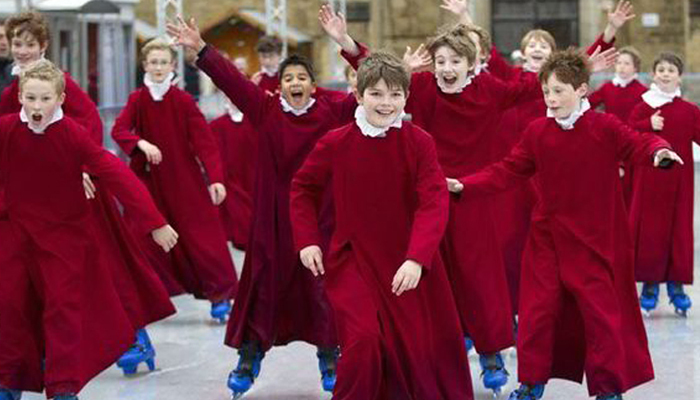 Are young girls missing out on music education opportunities because of their gender? 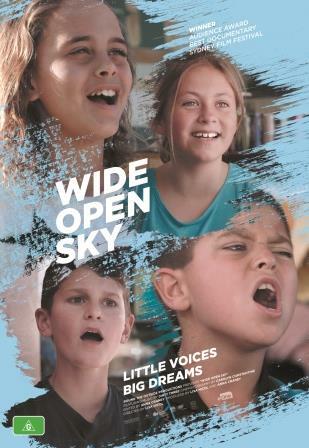 Free tickets To Award Winning Wide Open Sky Screening! Iconic Bondi Pavilion is getting an upgrade – don’t forget the music. 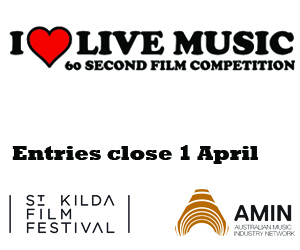 Now open with a selection of fantastic prizes for filmmakers and musicians, as part of a new national initiative, shining the spotlight on Australian contemporary live music. Songwriters are invited to write a love song about the Whitsundays. The competition aims to find the best song and we are offering $5000 prize money to the winning song-writer! 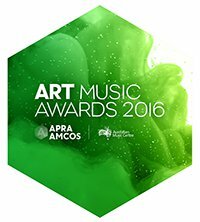 The yearly Art Music Awards are presented by APRA AMCOS and the Australian Music Centre to recognise achievement in the composition, performance, education and presentation of Australian music. The Awards are a NSW Government initiative to celebrate and reward outstanding achievements that help raise the global profile of NSW Creative Industries. With over $120,000 in prizes and awards available, all music genres will be eligible. An exciting new category will be added for 2016. Open to Victorian residents only, further information will be available early in the New Year. 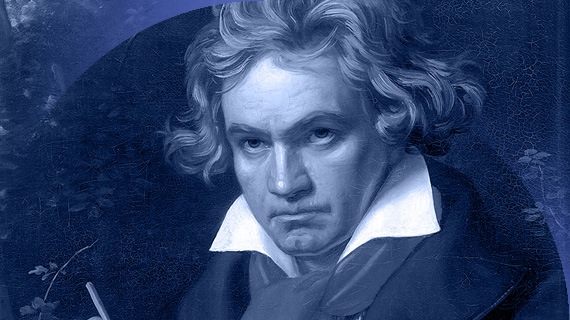 How do we listen to Beethoven in the 21st century? Pianist and writer Anna Goldsworthy and Benjamin Schwartz, the Sydney Symphony Orchestra’s Director of Artistic Planning join Yarmila Alfonzetti to share their experience of one of the world’s greatest composers. Music Together, the award-winning, international early childhood music and movement program developed in Princeton, New Jersey, is offering an exciting three-day Teacher Training Workshop in Sydney. Applications are now open for The Beat Starts Here 2016. This conducting course for teachers and community conductors takes place in April. Applications for this program close 17 Mar. Musicians, songwriters, producers, managers, and aspiring music industry entrepreneurs are invited to register for a free online music industry summit featuring industry professionals such as Josh Pyke, Gregg Donovan (Wonderlick Entertainment) and Dave Jiannis (Epitaph Records) and more. The UK’s leading electronic dance music conference, for the industry by the industry. Tickets on sale now for Brighton Music Conference 2016. The Nordoff Robbins Plus series brings together presentations from related disciplines, together with posters and group discussions. Poster submissions about projects that explore music in its many settings are currently open. 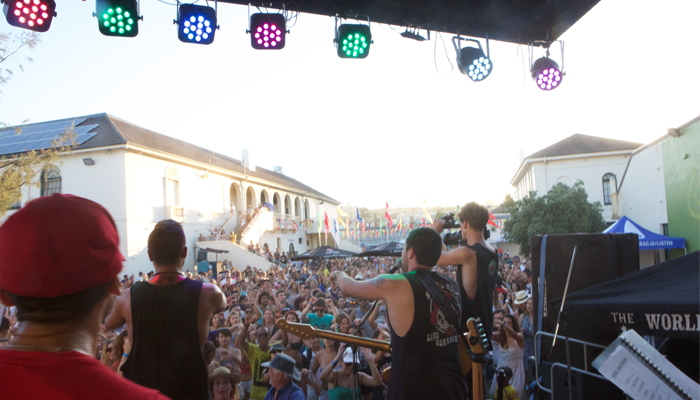 Regional Arts Victoria presents the Regional Cultural Forum: Festivals Deconstructed at Shepparton Festival. This one day forum will connect artists, arts workers and local government workers with festival directors to network, share ideas and be inspired. 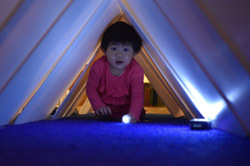 EOI’s are now open for the ArtPlay New Ideas Lab providing an opportunity for artists to propose new projects to undertake at ArtPlay as part of an ongoing creative arts program for children up to 12 years of age and their families. ArtPlay New Ideas Lab supports proposals between $5000 to $20,000. The Indigenous Professional Development Program supports the professional development of Aboriginal and Torres Strait Islander arts practitioners and arts-workers residing in Victoria. The City of Kingston invites individual artists, not for profit arts groups and organisations to apply for an Arts Grant as part of the wider Community Grants Program. The 2016-2017 Arts Grants program supports a diverse range of artists, arts practice, organisations and arts activity. Projects must have a public outcome. This program seeks to strengthen and grow the independent arts and cultural sector in Australia by granting money to ensembles/collectives/groups and organisations that are highly connected within their sector, and producing excellent work. The Australian Cultural Diplomacy Grants Program (ACDGP) aims to deliver high-quality, innovative arts and cultural projects to an international audience. For individual artists and cultural workers (emerging and established) to participate in transformational professional and career development opportunities. Applications can be made for funding up to $10 000. The University of Sydney’s, SCM is seeking to appoint a Dean and Head of School. The Dean and Head of School will provide leadership and support for the SCM’s teaching and research activities and will be responsible for the general management of the SCM. Visit sydney.edu.au/recruitment and search by the reference number 274/0216 for more information and to apply. An opportunity has become available to join an established, ambitious and committed Music Department. Moriah College is looking for an innovative and dynamic Music educator to lead the development of Brass and Percussion (Years 3 - 12). Are you passionate about the arts and regional South Australia? Country Arts SA is seeking a talented and collaborative professional to join the team as Marketing Coordinator working from the Sir Robert Helpmann Theatre in Mount Gambier. Opera Australia is seeking a Corporate Partnership Manager to join the team. An exciting opportunity exists for an experienced professional at the St Albans Community Centre and Performing Arts Facility. City Recital Hall is currently seeking a Marketing Assistant to join the team. The Marketing Assistant works closely with the Marketing Manager and Marketing and Communications Coordinator to implement the organisation’s marketing plan and supporting the promotion of City Recital Hall and its events and concerts. The appointee will be responsible for the development and maintenance of: The general business administration of ABCI operations, The public profile of ABCI, Planning and resource advice to the Board and implementation of plans and networking. Applicants can contact the Artistic Director on 0418 364 499 or by email nancell@netspace.net.au to receive a full position description. The first collaboration between the ACO and Synergy Percussion. The music explores film’s most iconic scores, featuring music from American Beauty, The Shining and Psycho. 50% discount on tickets to all Sydney shows! Simply use the promo code ‘KUBRICK’ when booking. With heavy beats, big boss brass and lyrical rhymes the WA Youth Jazz Orchestra will bring the house down for audiences in their first performance of the year. WAYJO will bring together a huge live hip-hop show featuring five of Australia’s top emerging MCs. The award winning artist MIRUSIA with Orchestra and Choral singers will tour Australia from April until August 2016 and is in Sydney for one night only. She will be singing a selection of well-loved songs from her new album, This Time Tomorrow.